Why stop at a new roof when completing your exterior home improvement projects? 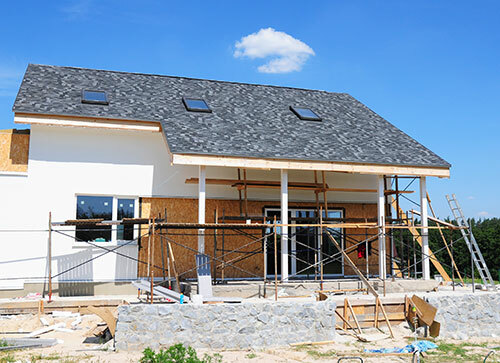 New View Roofing is a locally-owned and -operated roofing and home improvement contractor providing exterior renovation services to residents throughout North Dallas, TX. In addition to our well-known roofing services, we also offer exterior painting and new siding installation. Since siding is the largest visible part of your home’s exterior, it makes a lasting impression on passersby. It not only plays a crucial role in your home’s curb appeal, but also its energy efficiency and preservation of the foundation. Over time, siding deteriorates from natural wear and tear and eventually fades and loses it color. If you spot signs of damage and deterioration, contact the siding professionals at New View Roofing. We’ll help with the repair, replacement or installation of new siding! Our siding collection includes wood, vinyl, fiber cement siding and more! If you already have a design in mind, we’ll help you find the material and color choice to match your vision. Or, if you need some assistance, one of our team members will be happy to help you select the right siding option for your personal taste and budget. If you want to freshen the look of your exterior but aren’t in need of siding replacement quite yet, our exterior painting services are a great alternative. It’s our mission at New View Roofing for you to love your home and the way it looks. Whether you want a vibrant hue to make your home stand out or a more neutral tone to blend in with your natural surroundings, our qualified painting professionals have deep experience in exterior home color application practices. New View Roofing provides exceptional home exterior renovations. If you’re in need of siding installation, professional painting or roofing services, call our experts at (469) 232-7220. You can also schedule an appointment using our contact form. We look forward to working with you!